Before you read this and the Stands post below, it makes sense to look at my Thesis Exhibition Proposal which I’ve recently updated. It sounds a little funny, but I might go with some really generic modern designy factory made tables for my installation. This is an example of what I’m thinking of from Ikea. I want some of that slick retail feeling in the display, and I think this will do the job. I dont think it sounds funny at all that you are leaning towards a generic retailesque style table for your display. I think that using factory produced furniture directly relates to the objects your making – manufactured, digital, clean, slightly cold. 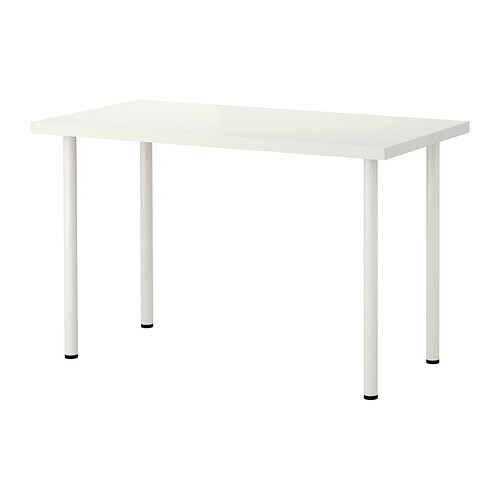 Also, I think Ikea furniture is one of those things that has become just as recognizable as handheld devices. I feel like Ikea furniture makes the people who purchase it feel like they’re modern and cool [not speaking from experience or anything…] in the same way that updating to the newest iphone does. I see that point, but feel that you have all the tools to create your own tables to be more materially conscious and more supportive of your objects and ideas. If you’re in it for the meatballs, I say go for Ikea.